Abstract: The relational database enabled access to the valuable information contained deep within data. Still improvements were needed for optimized complex reporting or analytical needs. This lead to the revolution of Data warehouse which would store current and historical data that could be used for creating analytical reports and analyzing hidden trends. As data is growing, companies will be required to adopt data warehouses so as to manage these huge stacks of data and hence Informatica can help them in building data warehouse. This paper focuses on ETL process of data warehouse and how Informatica is used for these processes using a case study on TAB Taxi to understand the working of this tool methodically. Informatica is a powerful tool for extracting the source data and loading it into the target after applying the required transformation. Keywords: Data warehouse, ETL, Informatica, Extract, Transform, Load etc. 1. ReemaThareja’s book on “Data Warehouse” published by Oxford Higher Education. 3. Jiawei Han, MichelineKamber and Jian Pei book on “Data Mining: Concepts and Techniques, Third Edition (The Morgan Kaufmann Series in Data Management Systems)” published by Morgan Kaufmann. 4. Web page on “Informatica” by Wikepedia. 5. SwastiSinghal, Monika Jena paper on“A Study of WEKA tool for Data Preprocessing, Classification and Clustering” published by IJITEE, Volume-2, Issue-6. 8. Muhammad Abbas video on “Informatica Tutorial For Beginners”. Available: http://www.youtube.com/watch?v=ufH_n5exxQw. Abstract: An Extended Reduced Order Observer (EROO) based design approach has been presented for an Automatic Voltage Regulation (AVR) loop of the synchronous generator. The design approach utilizes the full state feedback to stabilize the AVR loop in the face of parameter uncertainty. The EROO-based design approach is capable of robust trajectory tracking in presence of parameter uncertainty and disturbances due to load demand changes. The design ensures specified stability margins at different speeds of response. An illustrative example has been provided to demonstrate the effectiveness of the methodology. Keywords: Automatic voltage regulator, Control area, extended reduced-order state observer, augmented system, MATLAB simulation. 1. Olle l. Elgerd, Electric Energy Systems Theory; An Introduction (2nd Edition, McGraw-Hill Inc. 1982). 2. K. Ogata, Modern Control Engineering (4th edition, Prentice Hall Inc. 2002). 3. Gene F. Franklin, David Powell and Abbas Emami-Naeini, Feedback Control of Dynamic Systems (4th Edition, Pearsons Education Inc. 2002). 4. S.K. Goswami and K. Datta, On estimation errors in linear systems due to parametric variations, Journal of the institute of engineers (India), vol. 86, Dec. 2005, p(s) 192. 5. Soundarrajan, Member: Particle Swarm Optimization Based LFC and AVR of Autonomous Power Generating System, Proceeding on IAENG International Journal of Computer Science, 37:1, IJCS-37-1-10. 6. P. Kundur, Power System Stability and Control (McGraw-Hill Inc. 1994). 7. 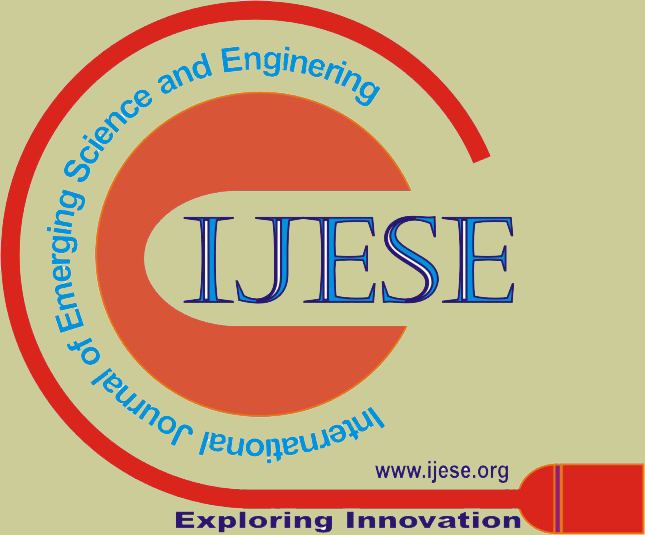 T. R. Shyama, Design of FGSPI Controller Based Combined LFC and AVR of Two Area Interconnected Power Generating System, Proceeding on International Journal of Engineering and Advanced Technology (IJEAT) ISSN: 2249 – 8958, Volume-1, Issue-4, April 2012. 8. Prof. D.P. Kothari, Centre for Energy Studies on Automatic Generation Control, IIT Delhi, Lecture 24. 9. R.K. Mehta, S.K. Goswami and K. Datta, An observer -based lateral autopilot for tail-controlled missiles, IE(I) Journal-EL, Vol 88, sept. 2007, p(s): 17-22. 10. Dr. R.K. Mehta and Mr. Rittu Angu, An Observer-Based Robust Load Frequency Control, Journal of Electrical and Electronics Engineering, Vol. 9, Issue 4 Ver. I (Jul – Aug. 2014), P(s) 23-31. Abstract: Open sun drying of food product is the traditional method since ancient days. The recent technologies like vacuum drying, steam drying, spray drying, microwave drying etc. are used for drying food materials, need fuel or electricity making the procedure of drying costlier. The alternative to these is the solar dryer. Cabinet Solar Dryer is one of the dryers developed. It is cheaper, easy to handle and effective means for drying because using it solar energy can be utilized meaningfully. Solar energy being the renewable source of energy is abundant, available at free of cost, clean, pollution free and lasting for millions of years in future. In solar dryer safe and appropriate drying of food product from nutrition point of view can be done. Also the product is free from contamination. These are the advantages over open sun drying. In the present study, sensory parameters as colour, flavour, taste & texture, macronutrients like energy value, protein, carbohydrate, fat and dietary fibre as well as micronutrients (minerals and vitamins) like potassium, phosphorous, magnesium, calcium, iron and vitamin C were estimated in the sample of cabbage in both the methods, solar dryer as well as open sun drying. The results are noticeable. Keywords: Fossil fuels, Energy Crisis, Insolation, Photothermal, Solar Dryer, Macronutrients, Micronutrients, Diet, Adequate Intake (AI), and Recommended Dietary Allowance (RDA). 1. R.W. Bentley, Global oil & gas depletion: an overview, Energy Policy 30(2002) 189-205. 2. World Reserves of Fossil Fuels: ‘Statistical Review of World Energy’ published in mid 2013. 3. Pallavi Joshi and Dipika Mehta (2010) 'Effect of drying on the nutritive value of drumstick leaves', Journal of Metabolomics and Systems Biology,Vol.1(1) page 5-9. 4. Ahmed Abed Gatea (2011), 'Performance evaluation of a mixed – mode solar dryer for evaporating moisture in beans', Journal of Agricultural Biotechnology and Sustainable Development Vol.3 (4) pp.65-71. 5. Rajeshwari, N.Ramlingam (2012) 'Low cost material used to construct effective box type solar dryer', Archives of applied research, Vol. 4(3) page 1476-1482. 6. Sagar V. R., Suresh Kumar P., Recent advances in drying and dehydration of fruits and vegetables:a review,J Food Sci Technol 47(1)(January-February 2010) 15-26. 7. Clement K. Sankat, Drying Technologies for Caribbean Agro-Industry using Solar Energy: Publication of the Islamic Education, Scientific and Cultural Organization- ISESCO-1427 AH/2006. 8. Clinical Nutrition Certification Board.Cncb.org.Retrieved on 2011-10-17. 10. "Dietary Reference Intakes:macronutrients"(PDF) Institute of Medicine.Retrieved 18 May 2008. 11. Dietary Guidelines for Americans 2010 [www] Available from : www.health.gov/dietaryguidelines/dga2010/Dietary Guidelines 2010. pdf [Accessed 16th April 2013]. 12. Carbohydrates-Health-The New York Times health.nytimes.com/health/guides/nutrition/Carbohydrates/overview.htm |- Similar. 14. Dietary Guidelines for Americans,2010(pg 41). 15. Dietary Guidelines for Americans,2010(pg 76). 16. Dietary fibre. British Nutrition Foundation. 17. Institute of Medicine. Food and Nutrition Board. Dietary Reference Intakes for Calcium, Phosphorus, Magnesium, Vitamin D, and Fluoride. National Academy Press, Washington, DC,1997. 18. Institute of Medicine. Food and Nutrition Board.Dietary Reference Intakes : Calcium, Phosphors, Magnesium, Vitamin D and Fluoride. National Academy Press, Washington, DC,1999. 19. Dietary Reference Intakes for Calcium and Vitamin D.” November 2010. 20. abcd Adam Drewnowski(2010). "The Nutrition Rich Foods Index helps to identify healthy affordable foods." The American Journal of Clinical Nutrition.91 (suppl): 1095S-1101S. 21. ^ a b c d Food and Nutrition Board, Institute of Medicine. "Dietary Reference Intakes (DRIs) : Estimated Average Requirements" (PDF). United States National Academy of Sciences. Retrieved 2013-01-12. 23. a b c d“Vitamin C”. Food standards Agency (UK). Retrieved 2007-02-19. 24. Kwashiorkor: Medline Plus Medical Encyclopedia. Nlm.nih.gov (2011-10-13). Retrieved on 2011-10-17. 25. Obesity. Weight Linked to Prostate Cancer Deaths – National Cancer Institute. Cancer.gov.Retreived on 2011-10-17. 26. Obesity and Overweight for Professionals : Causes IDNPAOICDC. Cdc.gov (2011-05-16). Retrieved on 2011-10-17. 27. Metabolic syndrome – Pub Med Health. Ncbi.n/m.nih.gov. Retrieved on 2011-10-17. 29. Deficiency. Bodybuilding foryou.com. Retrieved on 2011-10-17. 30. Omega-3 fatty acids.Umm.edu. (2011-10-05). Retrieved on 2011-10-17. 31. What I need to know about Eating and Diabetes – National Diabetes Information Clearinghouse.Diabetes.niddk.nih.gov. Retrieved on 2011-10-17. 32. Diabetes Diet and Food Tips : Eating to Prevent and Control Diabetes.Helpguide.org. Retrieved on 2011-10-17. 34. (2005-07-07). Retrieved on 2011-10-17. 35. Dietary Supplement Fact Sheet: vitamin D. ods.od.nih.gov. Retrieved on 2011-10-17. 36. Body, Jane E ( March 19, 1998). “Osteoporosis Linked to Vitamin D Deficiency” The New York Times. 37. Srinivasan Damodharan, (1998) 'Amino acids, Peptide and Proteins', Food Chemistry, University of wiscosin maidson New York, page 334-360. 38. Hassanian, A.A. (2009) 'Performance evaluation of an enhanced fruit solar dryer using concentrating panels', Energy for Sustainable development, vol. 16 page 224 – 230. 39. Stern Janjai, (2012),"A greenhouse type solar dryer for small scale dried food industries: Development & dissamination", International Journal of Energy and Environment, Volume 3, 2012 pp.383-398. Abstract: Digital Ecosystem (DE) is the Information and Communication Technology (ICT) system, which includes both an open and loosely coupled network of self-organising ICT nodes and links. The advancement of the DE technology, an emerging research area, promises new approaches for controlling, monitoring, and managing the use and reuse of resources in built-up environments. However, the use of the DE technology is currently most widely utilised in business enterprise networks, and many research and development challenges exist and must be addressed before this technology can be scaled to and applied in built environments. The main objective in this research is therefore to investigate and build a Digital Habitat Ecosystem Architecture (DHEA) that can integrate all the existing smart devices available in the home environment. Furthermore, it will monitor and control the use of the vital resources (water, electricity) in built up environments. The specific objective of this proposed research is to address the shortcomings of the wireless communication networks and to standardize the devices into a common platform. This paper aims to outline the significance of the DHEA, and the core DHEA devices. Emphasis will be on the discussion of the Element and Section-based models of a proposed DHEA model. Conceptual model and simulation results will be presented with simple examples such as a lighting system model in Simulink. Keywords: Conceptual Model, Digital Ecosystem, Digital Habitat Ecosystem, Sensor Networks, Simulation, Simulink , Web-based Architecture, Wireless Communication. 1. F. Nachira, "Towards a network of digital ecosystems: which technology, which research ?," ICT for Enterprise Networking, vol. 5, pp. 1-12, 19-20 September 2005. 2. K.Pillai, H.King, C.Ozansoy, N.Sharda,”Methodology and Framework to Construct and Integrate Digital Habitat Ecosystem Architecture”, International Journal of Information and Communication Technology Research (IJICTR), 2012, pp. 276-284. 3. K. Pillai, C. Ozansoy,” Web based Digital Habitat Ecosystem” ,for a book, ”Green Technologies and Business Practices: An IT Approach” , IGI Global Publisher, Will be published August 2012. 4.J. Sacha, et al., "A Service-Oriented Peer-to-Peer Architecture for a Digital Ecosystem” presented at the Digital Ecosystems and Technologies Conference, 2007. 5. E. Chang and M. West, "Digital Ecosystem a Next Generation of the Collaborative Environment," Proceedings of iiWAS 2006, pp. 21-41, 2006. 6. P. Eklund, et al., "Web Services and Digital Ecosystem Support using Formal Concept Analysis," ACM, pp. 8-12, 2009. 7. K.Pillai, H.King, C.Ozansoy,”Section-based Digital Habitat Ecosystem Architecture for the Built-up Environments”, Australasian Telecommunication Networks and Applications Conference (ATNAC), 7-9 November 2012, Brisbane, Australia. Abstract: In any network, any video stream is transmitted from one node to another. In the process various video information may be lost due to the channel errors or any other disturbance coming in the channel between the nodes. This paper presents an encoder based prediction model to know the impact of packet loss during video transmission in wireless network. Here we are implementing Scalable high efficiency video coding (SHVC) for video streaming. SHVC further offers a scalable format that can be readily adapted to meet network conditions or terminal capabilities. We implement and evaluate spatial, temporal, and quality scalability schemes for SHVC on a wireless network. Emerging adaptive streaming technologies will further increase the number of required representations due to additional adaptation points. This paper provides the benefits of adopting the Adaptive Streaming over the Scalable Video Coding (SVC) for spreading video streaming over the Internet. It describes how due to the adoption of SVC network resources are more efficiently used, and thus increasing the quality of service (QOS). Keywords: SHVC, SVC, QOS, Scalable, Emerging, Adaptive, Streaming, Transmission, wireless network. 1. Min Xing; Siyuan Xiang; Lin Cai, "A Real-Time Adaptive Algorithm for Video Streaming over Multiple Wireless Access Networks," Selected Areas in Communications, IEEE Journal on , vol.32, no.4, pp.795,805, April 2014 . 2. Ramanujan, R.S. ; Newhouse, J.A. ; Kaddoura, M.N. ; Ahamad, A.; Chartier, E.R. ; Thurber, K.J., "Adaptive streaming of MPEG video over IP networks," Local Computer Networks, 1997. Proceedings. 22nd Annual Conference on, vol., no., pp.398, 409, 2-5 Nov1997. 5. Yang Shi; Ning Zhou; Huiping Du; Jin Xu, "Scalable video transmission with quality layers over WLAN through a cross-layer design," Computational Problem-Solving (ICCP), 2011 International Conference on , vol., no., pp.93,96, 21-23 Oct. 2011 IEEE 802.11e. 8. Kunwoo Park, Sangheon Pack and Ted, Taekyoung Kwon, An adaptive peer-to-peer live streaming system with incentives for resilience, computer Networks journal, Volume 54, Issue 8, Pages 1316 1327,2010. 1. A.J. Wood, B.F. Woolenberg, Power generation, operation and control, John Willey and Sons, New York, 1996. 2. B.H. Chowdhury, S. Rahman, A review of recent advances in economicdispatch, IEEE Transactions on Power Systems 5 (4) (1990) 1248–1259. 3. J.W. Lamont, E.V. Obessis, Emission dispatch models and algorithms for the 1990s, IEEE Transactions on Power Systems 10 (2) (1995) 941–946. 4. M. Abido, A niched pareto genetic algorithm for multiobjective environmental/economic dispatch, Electric Power and Energy Systems 25 (2) (2003) 97–105. 5. M.A. Abido, Environmental/economic power dispatch using multiobjective evolutionary algorithms, IEEE Transactions on Power Systems 18 (4) (2003) 1529–1537. 6. P. Venkatesh, R. Gnanadass, N.P. Padhy, Comparison application of evolutionary programming techniques to combined economic emission dispatch with line flow constraints, IEEE Transactions on Power System 18 (2) (2003) 688–697. 7. A.A. Abou El Ela, M.A. Abido, S.R. Spea, Differential evolution algorithm for emission constrained economic power dispatch problem, Electric Power System Research 80 (10) (2010) 1286–1292. 9. Farag, S. Al_Baiyat, T.C. Cheng, Economic load dispatch multiobjective optimization procedures using linear programming techniques, IEEE Trans- actions on Power Systems 10 (2) (1995) 731–738. 10. S.D. Chena, J.F. Chen, A direct Newton–Raphson economic emission dispatch, Electric Power System Research 25 (5) (2003) 411–417. 11. M.A. Abido, A novel multiobjective evolutionary algorithm for environmental/ economic power dispatch, Electric Power Systems Research 65 (1) (2003) 71–81. 12. M.A. Abido, Multiobjective evolutionary algorithms for electric power dis- patch problem, IEEE Transactions on Evolutionary Computation 10 (3) (2006) 315–329. 13. Jiejin Cai, Xiaoqian Ma, Qiong Li, Lixiang Li, Haipeng Peng, A multi-objective chaotic particle swarm optimization for environmental/economic dispatch, Energy Conversion and Management 50 (5) (2009) 1318–1325. 14. P.K. Hota, A.K. Barisal, R. Chakrabarti, Economic emission load dispatch through fuzzy based bacterial foraging algorithm, Electrical Power and Energy Systems 32 (7) (2010) 794–803. 15. S. Sivasubramani, K.S. Swarup, Environmental/economic dispatch using multi-objective harmony search algorithm, Electric Power Systems Research 81 (9) (2011) 1778–1785. D. Simon, Biogeography-based optimization, IEEE Transactions on Evolutionary Computation 12 (6) (2008) 702–713. 16. K. Deb, A. Pratap, S. Agarwal, A fast and elitist multiobjective genetic algorithm: Nsga-II, IEEE Trans. Evol. Comput. 6 (2002) 182–197. 17. H. Ishibuch, T. Yoshida, T. Murata, Balance between genetic search and local search in memetic algorithms for multiobjective permutation flowshop scheduling, IEEE Trans. Evol. Comput. 7 (2003) 204–223. 18. J.K. Kishore, L.M. Patnaik, V. Mani, et al, Application of genetic programming for multicategory pattern classification, IEEE Trans. Evol. Comput. 4 (2000) 242–258. 20. A.K. Qin, V.L. Huang, P.N. Suganthan, Differential evolution algorithm with strategy adaptation for global numerical optimization, IEEE Trans. Evol. Comput. 13 (2009) 398–417. 21. J. Brest, S. Greiner, B. Boskovic, M. Mernik, V. Zumer, Self-adapting control parameters in differential evolution: a comparative study on numerical benchmark problems, IEEE Trans.Evol. Comput. 10 (2006) 646–657. 22. M.F. Tasgetiren, P.N. Suganthan, Q.K. Pan, An ensemble of discrete differential evolution algorithms for solving the generalized traveling salesman problem, Appl. Math. Comput. 215 (2010) 3356–3368. 23. J.J. Liang, A.K. Qin, P.N. Suganthan, S. Baskar, Comprehensive learning particle swarm optimizer for global optimization of multimodal functions, IEEE Trans. Evol. Comput. 10 (2006) 281–295. 24. C. Kanzow, N. Yamashita, T. Fukushima, Levenberg–Marquardt methods with strong local convergence properties for solving nonlinear equations with convex constraints, J. Comput. Appl. Math. 172 (2004) 375–397. 25. J. Zhang, A.C. Sanderson, JADE: adaptive differential evolution with optional external archive, IEEE Trans. Evol. Comput. 13 (2009) 945–958. 26. Das DB, Patvardhan C. New multi-objective stochastic search technique for economic loaddispatch. IEE Proc – Gener Transm Distrib 1998;145(6):747–52. 27. Farag A, Al-Baiyat S, Cheng TC. Economic load dispatch multiobjective optimization procedures using linear programming techniques. IEEE Trans Power Syst 1995;10(2):731–8. 29. M. A. Abido,’ Multiobjective Evolutionary Algorithms for Electric Power Dispatch Problem’, IEEE Transactions on evolutionary computation, VOL. 10, NO. 3, JUNE 2006, pp: 315-329. 30. Perez-Guerrero RE, Cedeno-Maldonado JR. Differential evolution based economic environmental power dispatch. IEEE 2005:191–197. 31. Srinivasa Reddy, K. Vaisakh, A. Vaccaro, Corrigendum to “A new evolutionary algorithm for non-linear economic dispatch” [Expert Systems with Applications 38 (1) (2011) 13301–13309]. Expert Systems with Applications, Volume 40, Issue 1, January 2013, Pages 397–398, Elsevier Journal, DOI: 10.1016/j.eswa.2012.07.054. 32. K. Vaisakh, A. Srinivasa Reddy, “MSFLA/GHS/SFLA-GHS/SDE algorithms for economic dispatch problem considering multiple fuels and valve point loadings”, Applied Soft Computing Journal, Volume 13, Issue 11, November 2013, Pages 4281–4291, Elsevier Journal. DOI: 10.1016/j.asoc.2013.07.001. 34. A. Srinivasa Reddy, K. Vaisakh, Environmental Constrained Economic dispatch by modified shuffled frog leaping algorithm, Journal of Bioinformatics and Intelligent Control, Volume. 2, Issue 3, 2013, Pages 216–222, DOI: 10.1166/jbic.2013.1047. Abstract: This is a study designed to determine the suitability and willingness of the City of San Fernando to go BYOD and is based on previous study of the researcher entitled “BYOD: Connectivity Option for Alaminos Municipal Hall”. This study was enhanced to determine if San Fernando Municipal Hall is ready to implement BYOD with all the advantages it offers in terms of mobility, cost, technology familiarity, flexibility, and agility; and if they if they are willing to adopt this innovation in their workplace. The previous findings of the study trigger another query whether other municipalities are open to this innovation. Thus, the research came across with a follow up study but this time it sought to determine the suitability and willingness of the City of San Fernando to go BYOD. This research adopts the same methodology and questionnaire from the previous study. Previous research did not tackle on existing IT literacy and capability of the municipality. But for this research, specifically it aims to answer the following questions: (1) What is the existing IT literacy and capability; (2) What are the factors that the municipality will consider in implementing BYOD; (3) What are the preferred BYO devices in terms of a. cost, b. specification, c. features, and d. technical support; (4) What are the potential benefits of using BYOD in the workplace compared to traditional IT; and (5) What is the significant difference between BYOD and traditional IT as perceived by employees. The findings are aligned with the previous study made by the researcher. This means perception of both cities is the same in terms of BYOD adoption and connectivity options. Based on the findings, security is the most important factor that needs to consider in the adoption of BYOD as represented by the 100% perception of the respondents both in San Fernando and Alaminos. There are many criteria wherein the two municipalities were different in terms of frequency and percentage such as Laptop as device issued by employer (Alaminos – 100% while San Fernando – 90%); perception if company ensure they comply with specific guidelines in using their personal device(s) for work purposes (e.g., no personal photos, limited app downloads) (Alaminos – 66% while San Fernando – 60%); Lastly, based from the t-test output there is significant difference between BYOD and Traditional IT along mobility, cost, technology familiarity, flexibility, and agility. 4. Hussy, W., Schreier, M. & Echterhoff, G. 2009. For schungs methoden in Psychologie und Sozialwissenschaften – furBachelor. Berlin: Springer. 5. Gens, F., Levitas, D., & Segal, R. 2011 Consumerization of IT study: Closing the consumerization gap. International Data Corporation. (Framingham ,2011).